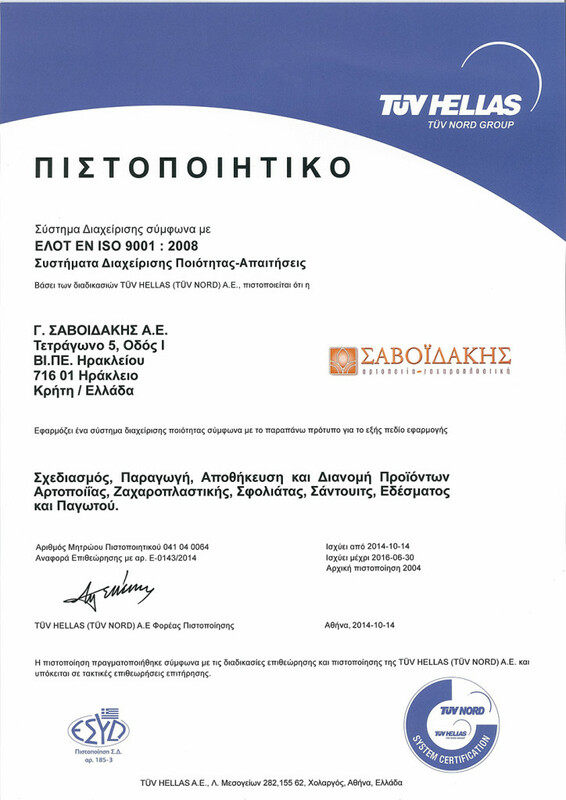 Application, verification and constant improvement of the Quality Systems (ISO 9001:2008) and of the Food Safety and Hygiene Systems (ISO 22000:2005) as required by the law and by the trustful relationship with the customers. 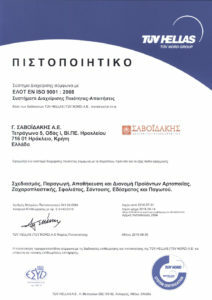 Constant education and training of the personnel regarding the Food Quality and Safety Systems so that the personnel is able to contribute in the interest of the production of safe and quality goods as well as of the satisfaction of our customers. 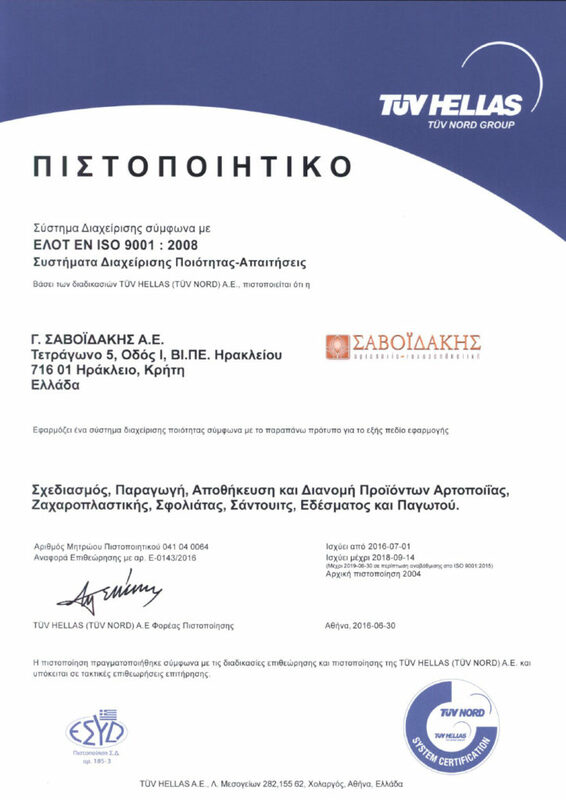 The affirmation that –by applying the above mentioned- there is efficient implementation of the quality and hygiene policy set by Savoidakis S.A concerning not only the cooperation with the suppliers but also the excellent hygienic conditions at all levels of production, handling and retail. Continuous tests by accredited qualified laboratories to validate the compliance with the quality and safety requirements.